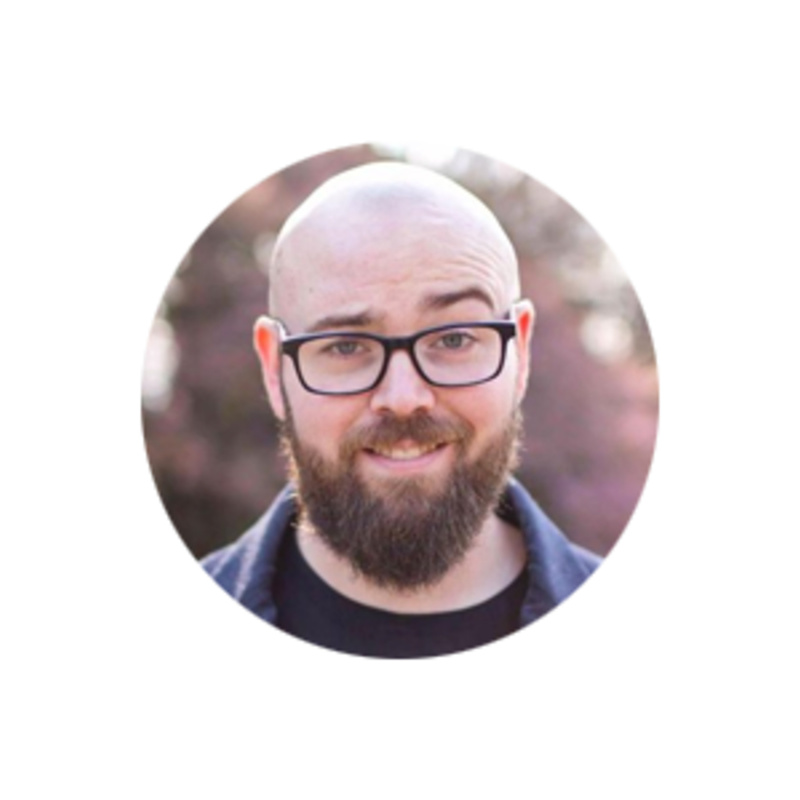 Jason Lengstorf is a developer on the GatsbyJS team. Jason didn't start his career even remotely in the tech field. He was a musician. Jason's band didn't have much money, so he learned design to make merch, learned some markup to edit their myspace, eventually learned to build a website for them, then learned backend so his bandmates could upload images and post things. Finally, they talk about what it's like to manage a repo that has 964 contributors, 5500 commits, and 936 issues. It was more chaotic in the early days, but they have brought on some people who are helping manage it and are defining better processes. Gatsby's goals in creating an agnostic unified data layer. Joel Hooks: Alright, I'm here with Jason today. Jason, why don't you go ahead and introduce yourself. Jason Lengstorf: Sure. Yeah, my name is Jason Lengstorf. I am a developer on the Gatsby.js open source framework. And I've been doing a lot of work on the developer relations part of things. Joel Hooks: Awesome. So, tell me a bit about your history as a developer and how ... What's your path from knowing nothing to, now, working with Gatsby? Jason Lengstorf: It's a long and wandering one. Jason Lengstorf: I started out wishing that I was a musician, right? I wanted to be a rockstar. So, I dropped out of college to be a full-time musician. And because we were a band, we didn't have any money. So, I learned design so that we could have merch and posters. And then, I learned web design a little bit so that I could customize our Myspace page. And then, I learned how to do a full website. And eventually, I needed to figure out how to let other people in the band post photos and blog posts. And so, I had to learn some backend stuff so I could do that. And it kind of just grew from there. When the band broke up, I realized I was significantly better as a developer than I was as a musician. So, I started an agency. My agency grew. I got reasonable amount of experience. Eventually, ended up contracting around for awhile. Started working as a front-end architect at IBM. And then, just at the end of last year, started looking around and got moved over to Gatsby as of, I think, February? Joel Hooks: Okay. Sweet. That's a fun path. Do you regret ... Do you still get a chance to sing or guitar, whatever you were doing? Jason Lengstorf: Yeah. So, I was a bad guitarist. And then, probably a worse vocalist. So, I don't think the world is missing much without me making music. But I still play from time to time, just for fun for myself. Joel Hooks: Awesome. Alright, so let's chat about Gatsby for a bit. So, what is Gatsby for people who haven't heard about it yet? Jason Lengstorf: Gatsby is a site generator that's built on React and GraphQL. So, the core focus of Gatsby is to create a unified data layer so you can pull data from anywhere, any headless CMS, any API, static files, whatever you want. And then, you use React and GraphQL to build your whole front-end. And then, we will build that into a really high performance, progressive web app so that you're able to focus on building a great experience and not focusing on performance tuning and all that kind of stuff. So that's kind of the super high level view, but the general idea is we're trying to make really good decisions baked into a framework so that you get ... You can ace your performance audits, and things like that, without having to do any extra work. Joel Hooks: So, by any CMS, any API are some examples of that: Ruby, Python, Node, just literally anything pretty much? Jason Lengstorf: Anything that exposes its data through an API. So, we've been able to pull in ... WordPress is a common backend CMS for us. We use software as a service platforms like GraphCMS or Contentful. We've pulled in Drupal sites. We can pull in Shopify. We just built this wag store powered by Shopify. And we can even do weird stuff like Workshop.me, which is one of Ryan Florence's projects. He has actually built from a Google Sheet using Gatsby. So, Gatsby consumes that Google Sheet and builds a website out of it. Jason Lengstorf: I would say that's the ... It's the path of least resistance, right? So, if you're just working on your own blog, the easiest way to get started, if you're starting from scratch, would be to build a Gatsby site, write some markdown files and publish those. What Gatsby's trying to overcome though, and I think this is maybe what we're uniquely bringing as a framework, is that you can use Gatsby for your personal blog and just write markdown. But as you scale, when you've got a content team or a marketing team or, for example, you've got your dev team writing docs in markdown, but your content team is using WordPress or Contentful for that. And your marketing team has got Salesforce hooked up. In traditional business models, or development models, you would end up having three apps for those three data sources that would have to be fit together through sub-domains or reverse proxies, or something like that. Jason Lengstorf: With Gatsby, what you can actually do, is you can plug all three of those into the same Gatsby backend. And it will unify that data into our GraphQL data layer so that you develop the same way, regardless of where that data came from. And so, it will kind of expand with you as you go from a single ... From a one developer shop up to an infinitely scaled company. Joel Hooks: Right. Yeah. And I can't even imagine trying to take a Jekyll or the others, a Hugo, or something through static site generators. And what the migration story would be to Contentful, or something like that. Jason Lengstorf: Yeah. It's definitely possible. The stuff that Hugo is doing and the stuff that the Jekyll does, they're really good tools. I think this just isn't what they're built for. They're built for very quickly building small static sites. And they're excellent at that. We are targeting ... We just want to do more. We want to be kind of a data agnostic development layer. So, we worked hard to make sure everything was extensible. So, if you've got any API, you can just write a source plugin for it. And then, that means that any Gatsby site now can install that plugin and pull in your data source. So, you can write a custom API and have it be integratable with Gatsby	out of the box. So, you could say, "Hey, do you want to build a site with your data? Here's what you do." And we're seeing that a lot of ... I think, a company called Wings is a new headless CMS. And part of their core marketing strategy was they launched. And part of their launch was, we also have a Gatsby plugin, which is ... We are over the moon about that that we've been able to make that kind of impression in the open source community. Anyways, that's kind of what we're after is that type of openness and data agnosticism. Joel Hooks: Agnosticism. I like it. Now, spell that. So, would you say if ... Say, someone who was about to sign up for a site at WordPress.com, what's the difference, skill level-wise, that's required between just signing up for an account on WordPress and maybe playing with some preferences or a PHP template, or something, compared to launching something through Gatsby where ... I'm not familiar with it. But is there Gatsby hosting where you can create an account and just kind of go from the default templates? Jason Lengstorf: Not yet. That's a plan. Gatsby got Venture Capital funding back in the end of 2017. So, one of the things that we're hoping to bring out, that we're working on now, are a couple different tools that will make Gatsby more of an active competitor with the WordPress seamless model. So, one thing that WordPress does better than us right now is if you don't do code at all, you can still set up and operate a WordPress site. Joel Hooks: It's funny how much that it's a real development experience for people, even though they're fumbling around a bit. How often do we just check static overflow for the units we're looking for and copy and paste. I think, it's really cool that now, if Gatsby brings that story about, then it can be truly an introductory programming experience for people. Where, here's this working thing and what do you want to change? And then, they say, "Well, I want to change the way that the footer looks." And then, they can do the footer code and make some calendar widget, or whatever. Joel Hooks: And that's a story that WordPress and the others don't have. Jason Lengstorf: If you're building a website, yeah. Joel Hooks: Going to do that in deployment. Jason Lengstorf: Exactly, right? You've got to put it somewhere. And so, how do you do that? So, we've thought through, "Okay, once you've built a site, where does it go?" And when you're looking in something like a static site generator, which at its core, that's what Gatsby is, you can host it for free on GitHub pages. You can host it for free on Netlify. And Netlify has kind of been our recommended way to go, because Netlify will watch your GitHub repo. And whenever you make a change, it just automatically polls and updates everything. It's magical. I'm in love with Netlify as a service. So, we've got that great story of you build something, you hit Gatsby build and then, you save those change ... Or you hit commit, push that up to GitHub and then, Netlify will build your site. And the same with data. We've got a story for how to get data in. If you want to use data, here's what you do. And if somebody hasn't already built it for you, here's some instructions on how to get it in so that you can use it in the same way that you would use data from anywhere else. Joel Hooks: Right. Right. So, I see that Gatsby's version two is in beta. What sort of changes are we looking forward to in the upcoming version two release? Jason Lengstorf: The biggest ones are mostly under the hood. So, a lot of what's happening in Gatsby version one is just older versions of the technology that powers the web. So, Gatsby version one is on Webpack version one. So, Gatsby version two is moving us to Webpack version four. So, it's a big jump. We get a lot of performance benefits there. There are additional performance benefits like better code splitting, better dead code elimination, some other kind of ... How we can do things like sub-setting your fonts. So, if you have a web font that you're using, if it's included in the repo, we are going to be able to run a plugin that will look at just what characters you use and only include those in a sub-set font so that you're only sending down what you really need. Instead of having to send 500 characters, you send down 10. So, those are some of the under the hood things that are going to happen to make the sites faster, to make your build times faster. We've improved the build time by about, I think, it was 80% or something. It's a huge difference between Gatsby v1 and Gatsby v2. One of the biggest limitations of static sites is that they're very slow to build. So, we are putting a lot of effort into making it faster. And our target, and who knows if this is physically possible, but what we really want to do is get to the point where our static sites are building in ... Huge static sites are building in seconds instead of minutes. And so, those are ... That's another big one that we're working on. And then, other than that, there are just a couple kind of magic things in v1. We had this layout component in Gatsby v1 that was automatically applied to your pages. And it kind of worked as an app shell, sort of. You would define your header and footer in there. And it ended up being just this ... It was a little bit confusing, right? So, in v2, we removed that. And we went to the point where, now, the Gatsby stuff is pulled out and you have to actually use it like a React component. You plug it in and you have to include it and wrap your files in it. And it's exactly what you've always done in React. So, we made a couple decisions like that that make React feel more like React. And there's less magic from Gatsby. We added a couple other things around GraphQL. We're going to support external GraphQL schemas as first-class citizens. I think that poll process is getting merged today, if it hasn't been already. And I think everything else is more around stability. We've got a whole migration guide written up that covers the nitty-gritty details. There are a couple breaking changes, in terms of the names of things changed to be more clear. But otherwise, it's not a ... The migration path is pretty shallow for most websites, because most people aren't using the stuff that we ended up changing. Joel Hooks: Right. Right. Now, would you recommend, if someone starts with it today, that they just dive into v2? Jason Lengstorf: I would start with v2. Our current push is to get to a release client, or a release candidate, for v2 soon. If it were up to me, we would probably have our release candidate out in the next two weeks. So, the time horizon for v2 going stable is potentially a couple of months. But I would not ... I would say, it's probably not longer than that. Joel Hooks: That's a load of things on your mind, day in and day out. Jason Lengstorf: Yeah. And it's something that I am not terribly involved in the day-to-day management of the repo. So, one of the things that is very nice about having a strong maintainer community is that ... So, Kyle Matthews is the original creator of Gatsby. And he mostly spends his time on new features, what's kind of next generation stuff. And then, we're super lucky to have great people like Mike Allanson, Michal ... I'm going to murder his last name. He's Polish. And I think it's like Piechowiak, I think. Joel Hooks: Sounds right to me. Jason Lengstorf: I'm so sorry, Michal. And then, we've got just this army of amazing people who just show up and put in the work and help keep these things moving. So, we've got ... Mike and Michal are full-time with us now. We've contracted them for as many hours as they'll give us, basically, to manage this and keep things under control. We're also working with someone named William Imoh from Nigeria who's helping us do, what we're calling, open source gardening. Because a lot of those 900 issues have been fixed. He didn't have great organization in the previous versions of the repo where they were just kind of managed in a very ... There are tons of things happening, so we're tracking as best we can. But also, there's just general chaos. So, now we're trying to get more methodical, especially since we got funded. We want to bring that back into check. And so, we've contracted Marissa Morby who is an excellent organizational architect to help us write some project workflow processes, to find some things that we can do better to make the project workflow just work and just identify some different ways that we can do a better job of that. Because it is really, really difficult when you've got dozens of issues opening a day to not let some fall through the cracks. And so, we're trying very hard to not let that happen. But even just today, we had someone who was unhappy because we ... They opened a poll request. And they did a ton of work on this poll request and we just missed it. It just got lost. And by the time we found it again, it was out of date. It didn't match with our roadmap. And so, we ended up having to close it. So, that's super frustrating because had we been paying attention, we would have caught it and we would have closed it earlier, because it wasn't in line with what we were headed for. But instead, it was like months. Alright. Somebody just waiting. Like, "Are they going to merge my work? What's up with this?" And so, we're trying to figure out, how do we make that not happen again? How do we make improvements that prevent us from taking advantage or letting down the people who are basically volunteering their time to help make Gatsby better for the rest of the community? Joel Hooks: crosstalk 00:20:28. No one's perfect. Jason Lengstorf: Yeah. Our goal is that we don't create ... We don't want to create unhappy people. There will definitely be people who just don't like the product and that's fine. But we don't want to be the ones who are like, "Hey, we did something crappy and you have to deal with that. And now, you don't like us very much." Joel Hooks: So, if someone were to get started with Gatsby today, I know there's a lot of examples in the repo, which one should they start from? Or, is the document the best place to go? What would be your recommended path to I know nothing about Gatsby to launching a personal blog, or whatever? Jason Lengstorf: We have just done a huge effort with Shannon Soper and Amberley Romo have just done a huge amount of work on improving our tutorial. So, that would definitely be the best place to start. It's really comprehensive. They added a part zero that's like ... It will tell you what the command line is and how to get Node installed. And then, it goes all the way from there to pretty advanced topics like building source plugins and stuff like that. So, I don't know if it actually builds a source plugin. But we get you to the point where you'll have the level of understanding that you can then jump to the advanced guide on building a source plugin. Joel Hooks: Right. That's awesome. Jason Lengstorf: But yeah, for a beginner, that's definitely where you would want to start. Hit up the tutorial, skip ahead to the part where it seems new. And then, go through that. Joel Hooks: Cool. And that's at gatbsyjs.org/tutorial, so. Jason Lengstorf: That's correct, yes. Joel Hooks: Alright. So, it's about time to wrap up. Is there anything you'd like to promote or say about your life or Gatsby before we close it off? Jason Lengstorf: Something that we're trying to do right now is get more people involved in open source, especially if you're somebody who feels like you're typically not part of the open source crowd. So, first time contributors, we'd love to have you. We've got open pairing hours available, so you can find that on our WeMeet. You can tweet at us. It's on my Twitter. There's a link to actually schedule an hour. Somebody from the Gatsby core team will do a screen share with you. And we can look at any code you want to do, whether you're getting started with Gatsby. If you're wanting to make a contribution to open source. And if you want to make that contribution, it doesn't even have to be to Gatsby. It could be to any open source project you want. We just want to try to get more people involved. So, that's my big effort right now. So, come and talk to me. And let's get some time set up. Joel Hooks: Awesome. That's great. You're awesome, Jason. Jason Lengstorf: Well, thank you. Joel Hooks: Well, thanks so much for your time today. And have a wonderful rest of the week. Jason Lengstorf: Yeah, thank you for having me. I really had a good time.